A truly incredible piece of work. 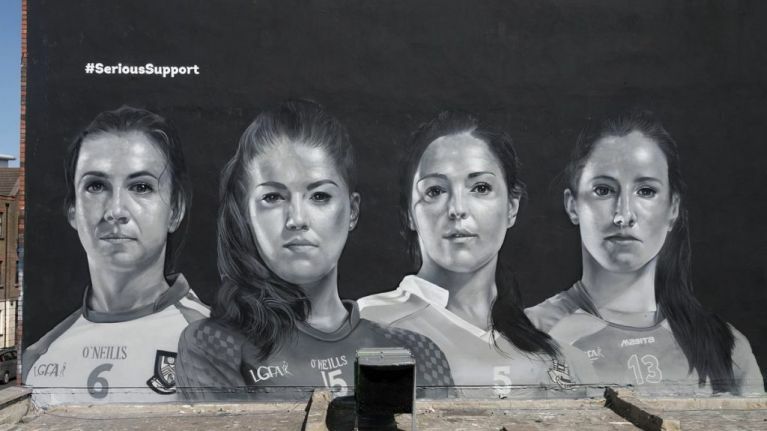 An incredibly realistic and powerful mural of four county football players ahead of the Ladies' Football Final in two weekends' time has been installed on the south of the city. The 18-foot piece – which was hand painted on the side of a block of apartments on Aungier Street – depicts Monaghan's Sharon Courtney, Mayo's Sarah Rowe, Dublin's Sinead Goldrick and Tipperary's Aishling Moloney and aims to promote the sale of Ladies Football Final tickets on 16 September. We've always looked up to @LadiesFootball players and now more than ever with our 18ft high mural of the Lidl LGFA ambassadors created by @SubsetDublin. The piece is part of the Lidl #SeriousSupport campaign which aims to provide unwavering support to Ireland's Ladies footballers – something they have been heavily involved in for a number of years. It was commissioned by the supermarket and painted by Dublin based street artists collective SUBSET, who have made their name in recent times for their Grey Area Project, which sees them transform previously unused walls around the city into interesting and colourful murals. They're responsible for some of the most compelling and striking pieces of street art around the city as of late, including the Rubberbandits and Luke Kelly mural, the Stormzy mural and the Kanye West mural. They've also been quoted as saying that they want to turn Dublin into one of the most visually inspiring places on the planet. 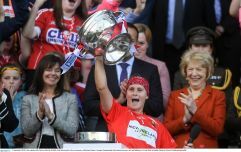 Lidl, who currently stands as the Ladies Gaelic Football Association (LGFA)'s official retail partner and title sponsor, recently announced that due to the success of their recent partnership, they were to announce a further €3 million investment and an additional three-year sponsorship of the association.